Athol Fugard's Coming Home examines South African society through the filter of domestic drama. T. Charles Erickson Coming Home. It's fairly easy to see why playwright Athol Fugard is considered the greatest in his discipline — by none other than his frequent collaborator Gordon Edelstein. In fact, Edelstein never runs short on superlatives when discussing Fugard, who, he says, writes scripts that always put character struggle in the context of world affairs. 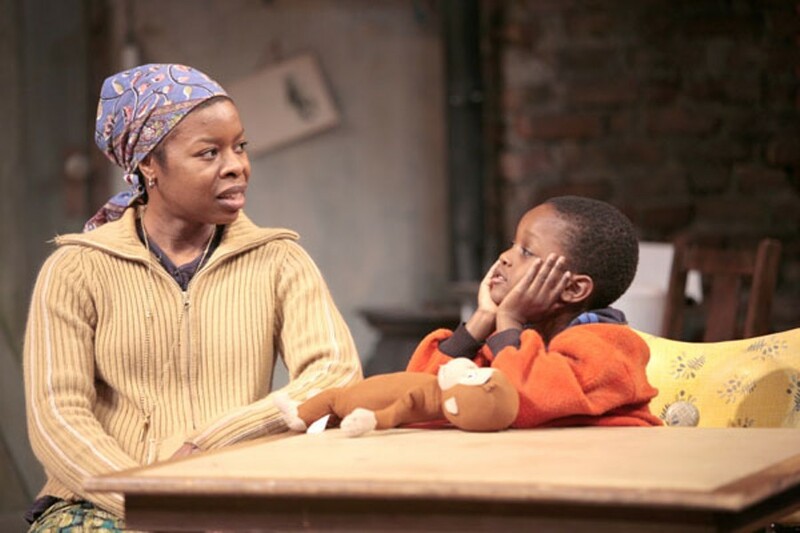 Fugard's latest — directed by Edelstein — is a simple story called Coming Home, about a South African woman named Veronica (Roslyn Ruff) who strikes out in the big city and eventually returns to her village in disgrace. She carries with her a five-year-old son, a fatal disease, and a deceptively blithe disposition. "American literature is filled with stories like this," said Edelstein, "about the small-town girl who didn't make it in the big city." But Fugard takes this template and burdens it with the weight of history — specifically, South African history. His lead character is "colored" (i.e., a person of mixed-race heritage), who hooked up with a black man from Mozambique, which is the South African version of miscegenation. She wound up pregnant, lost her job, and contracted AIDS in a squatter's camp. Veronica returned to her village to protect her son and find what is often called "a space of innocence" in melodrama. Yet, as her condition worsens, Veronica grows increasingly urgent and desperate. In this sense, Coming Home resembles many plays by Henrik Ibsen. All the action takes place in a single room. Like the cloistered settings of Ibsen's Hedda Gabler or A Doll's House, the room in Coming Home becomes more of a pressure cooker as time goes on. "You as an audience member develop a relationship to that room," said Edelstein. "It gives a concentration and intensification of what happens. That's a powerful force to marshal." Fugard also takes after Ibsen in his desire to elevate social realism to the level of dramatic poetry. Ibsen wrote beautifully and articulately about conservative Norwegian society. Fugard writes with equal verve about cultural mores in South Africa. His plays teem with symbols and abstract ideas, but always remain grounded in a tangible reality.